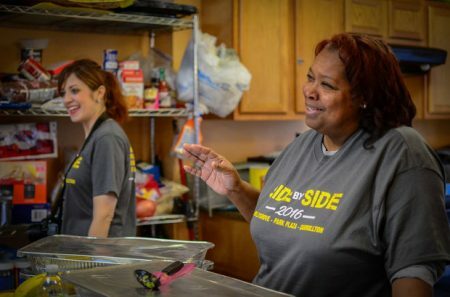 Baton Rouge, Louisiana, 2016-Jun-22 — /EPR CONSTRUCTION NEWS/ — After Roof Crafters gives away new roof, Mid-city homeowner Yolanda White was delighted to hear her leaking roof would get fixed when a team of volunteers from Tulsa, Ok. came to town. Then the news got better. After Roof Crafters gives away new roof, Mid-city homeowner Yolanda White was delighted to hear her leaking roof would get fixed when a team of volunteers from Tulsa, Ok. came to town. Then the news got better. The project at White’s house changed when Vaughn, an Owens-Corning Platinum Contractor, contacted Magee, another Platinum Preferred installer with Owens Corning, to see if Magee had a “backup crew” available in case inclement weather or other difficulties forced the Tulsa team to return home before the project was complete. 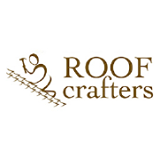 Being community minded Roof Crafters gives away new roof by providing all the labor to install the roofing system. “[Magee] said, ‘Hey, I’ve got a crew that will do the whole thing,’” Vaughn said. Materials were donated by ABC Supply, a nationwide supplier. White’s one-story home was elevated after the storm, but the roof was not replaced at the time. White has lived in the 50-year old house for 15 years. Team coordinator Dr. Amy Emerson said the team wanted to help White because she gives so much to others. Other activities held in conjunction with the team’s visit included a “Pete the Cat” literacy event, based on the popular children’s series books by Eric Litwin. Free books were provided for children that attended. The churches are co-led by ministers Charles Marsalis and Kirk Garrison. Marilyn Stewart writes about people and events of the faith community in Orleans Parish. Send information three weeks in advance to marilynstewart.nola@gmail.com.